Another thing that I would like to comment on. The shenanigans (my nice way of referring to what’s happening) at CJRT-FM/JAZZ.FM91. It’s been going on for months, and I have been watching from the sidelines, but it is probably nearing some sort of conclusion. For those unaware, a short (well not really) recap. As CEO/President of the station in the late 90’s and early 2000’s — six years — I changed the station format from heavy professorial talk/lectures and classical music with a few hours of specialty music, to mostly JAZZ, no lectures and a few hours of related music features every week. I have never mentioned this is public, but dealing with a Board that was/is in the educational institute mindset and with no background in broadcasting was more than frustrating. However we got it done. Again for those unaware, CJRT was a Ryerson University station until 1974, when it left the fold and became a self contained non-profit organization, albeit, still housed in large really well outfitted studios and offices at Ryerson. It survives by being allowed to air 4-minutes an hour of standard commercials and listener donations. The board (at least some of the board) and I parted company in 2004, and I moved back to Anita’s and my home in Niagara Falls which we had from 1987, and retired from 50 years in the broadcast business. Now to the point of this missive. Of late, there have been many allegations, firings and layoffs — for which I won’t comment here — that have caused advertisers to leave and apparently a reduction in donor support. A group of interested donors who want to get things back on track appeared in 2018 and attempted to discuss the situation with the station. They apparently got nowhere, so took it to the listeners, especially the donors who have legal rights. They got a fight from the station, but that hasn’t deterred them to take it to court and won the ability to talk to the donors and try to fix things, including throwing out the current Board and replacing it with a decent mixture of business experiences. 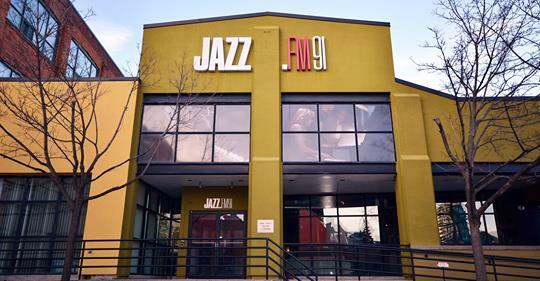 Unlike a lot of college radio stations that have low power serving the campus or community, JAZZ.FM91 is a full power 100,000 watt station with the tower on the CN Tower and has one of the best signals in Toronto, reaching well into the ‘burbs’ and surrounding cities and towns. Thus making it an important voice for JAZZ, Blues and other related specialty music in the largest and probably most diversified market in Canada. In fact a lot, if not most of today’s radio people forget that the 60’s and 70’s rise of pop/rock music had a huge component of JAZZ. Certainly a pivitol label and sound was Motown, and many if not most of the music that went to the top of the charts from Motown had a in important jazz component, the Funk Brothers. These were jazz trained musicians who were the backing for most Motown records from 1959 through the early 70’s. Then there was the Wrecking Crew in Los Angeles. These folks were not all 100% jazz based, but many were and all could handle jazz very well. They were the backup for thousands of records and a whole pile of Top 40/pop/rock records. I my career I was fortunate to have met both the Funk Brothers at Motown way back in 1964 when I first grasped their importance to the world of music I was playing on the radio. I met several of the Wrecking Crew (look them up if you don’t know who they were) while at the Capital Tower in 1969. Again, increasing my understanding of the importance of jazz in pop music where my career was. I tell you this story because many of you are in or come from the radio business and unlike commercial enterprises, the events of what are perceived as small stations by commercial broadcasters are usually ignored, even though there is much importance for what most of them do. If you talk to any of the jazz musicians and music teachers in Greater Toronto, you’ll get an earful of the importance of JAZZ.FM in their lifestyle mix. Back when we changed format and ran our first donor pledge drive, which was at the time the most successful in recent history, we certainly felt the passion. To understand the big picture as is publicly available, you can go to “savejazzfm.com” and of course to JAZZ.FM, the station’s website. Let’s see if I can keep a 60 year life short. Whole history. Went to Crescent School in Toronto from age 5 to grade 9 whatever age that was. Then back to Edmonton where I was born and did high school. Planned to go to U of A and head into law, but got the radio bug while in high school and started part time and on completion of high school in 1957 at age 17 – I got a job in the boonies and started my radio career as a disc-jockey. Did that until 1970 from one end of Canada to the other. Joined Ted Rogers in ’70 as manager of CHAM Hamilton and a year later as VP Rogers Radio and GM of CFTR and CHFI-FM Toronto. Left in 1979 to become CEO/President of CKLW-AM and FM and CKLW Sales Inc in Detroit/Windsor. In ’83 upon the sale of CKLW, moved to Victoria and moved into consulting broadcasters. Why Victoria? Dave Armstrong who I had been consulting for about 8 years convinced my wife and I it would be a good place to live. Dave died, and I applied for a new FM station in Victoria with Roger Charest as my partner. Sherry Armstrong and her people convinced me that I should join Capital Broadcasting rather than go after the new license. To which I did and Roger completed the application. Then the world fell apart, Sherry locked me out and took over while I was on vacation in Hawaii. So I took her to court and decided to move back to Ontario, which I did and along the way won the court case. Founded Canadian Radio Network, the first licensed satellite network in Canada. Sold to Rogers in 1993. Founded Direct Response Radio a CD music based sales company selling through radio stations mostly in the U.S. Did that until ’98 when I became CEO/President of cjrt-fm. There, as simplified as I could make it. My website is chuckcamroux.com, which doesn’t mention radio because I am focused business wise on the Internet and online marketing. As you could see on my Facebook I have just released a new ebook “How To Cash In As An SEO CONTENT WRITER”. To me content writing is the digital version of being a radio programmer in the analogue world. Glad you like my comments on Jazz FM. If I can help, let me know. Thanks Chuck for your excellent overview of Jazz FM. 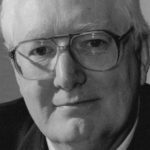 I live in South Delta BC and was a generous donor to Jazz for 6 years, during which time I joined James Bee & others on a few of the Jazz FM Toronto jazz club tours. They were fantastic! Toronto is one of the very best cities for jazz entertainment. I hope Jazz can continue under the Board structure you knowingly suggest.